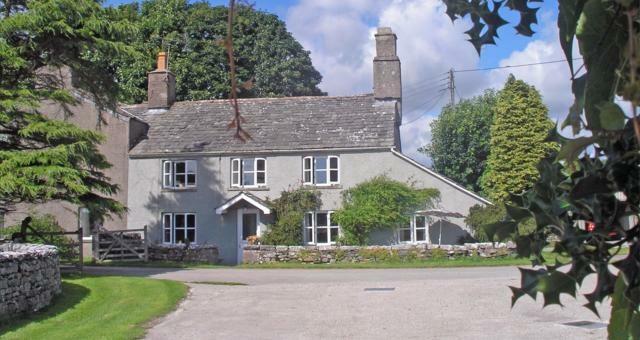 Longlands Farm Cottage015395 36406work Self-cateringIn a peaceful valley, within the Lake District National Park, Longlands Farm Cottage enjoys pleasant views across the fields towards beautiful medieval Cartmel village. The oak-beamed cottage retains many original and interesting features whilst having been sympathetically restored and updated. Double-glazed throughout and comfortably furnished in a traditional style, on the ground floor the accommodation briefly comprises, lounge with sunny windowseat, open fire and unlimited supplies of cut logs free of charge. Colour TV /DVD. Dining room, seats 6 with original windowseat and 1698 carved spice cupboard. Longlands Farm Cottage offers weekly bookings starting on Saturday. Kitchen, dining room, lounge, bathroom, 2 twin-bedded rooms and 1 double-bedded room. Longlands Farm offers weekly bookings starting on Saturday. 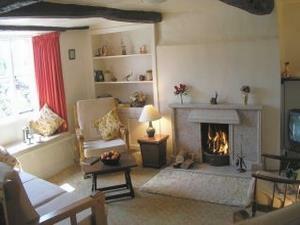 The cottage was very comfortable and a wonderful setting with miles of farmland to safely explore. The cottage itself is a little old fashioned with blankets and storage heaters, no dryer or dishwasher and the hot water on a coin meter but none of this detracted from our enjoyment of the cottage. We hghly recommend. In a peaceful valley, within the Lake District National Park, Longlands Farm Cottage enjoys pleasant views across the fields towards beautiful medieval Cartmel village. The oak-beamed cottage retains many original and interesting features whilst having been sympathetically restored and updated. Kitchen, equipment includes stainless steel sink, 4-ring electric cooker with grill and oven, fridge/freezer, microwave, washer, toaster and cordless kettle. Bathroom, fully renovated with modern suite and fittings, has bath also separate thermostatic shower cubicle. Upstairs, 1 double-bedded room and 2 twin-bedded, all with fitted wardrobes and ample supply of pillows and blankets. Heating, all living rooms and bedrooms have electric storage heating provided free of charge. Paved patio-garden runs along the southfacing front with wrought-iron chairs, table and parasol. Surrounded by attractive open spaces with a small stream in the paddock behind, with safety fencing. Lovely walks to enjoy straight from the door with free access to our Little Heaning private wood and spectacular views from Hampsfell rising to 800ft. From M6 jct 36 take A590 Barrow. After 200yds past bridge at top of Lindale Hill turn left for Cartmel. One mile downhill to 4-lane crossroads. Turn left for Cartmel. Farm is 1 mile further on, on left-hand side, houses are 100yds back from road, near a signpost with a large slate name plate at the roadside, reading Longlands Farm.